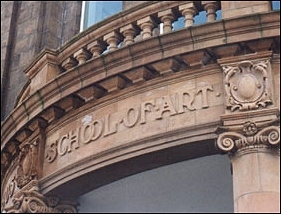 School of Art. Circa 1905. Brick and terracotta with tiled roof. 2 storeys, 3 bays. Outer bays have pedimented shallow gables and flanking blocks terminating in castellated turrets. 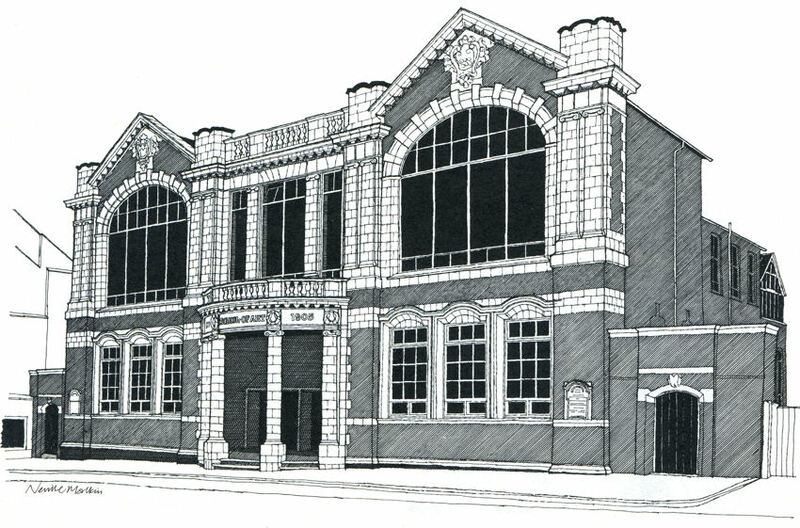 Triple windows with segmentally arched terracotta surrounds to ground floor, massive segmentally arched studio buildings above, with terracotta keyblocks and coat of arms at apex. Shallow pilasters in flanking towers. Central doors in bowed portico with Ionic columns carrying entablature with embossed lettering and balustrade over. Large tripartite window above, divided by slight Ionic piers. Balustraded parapet runs between the turrets which flank the outer gables. 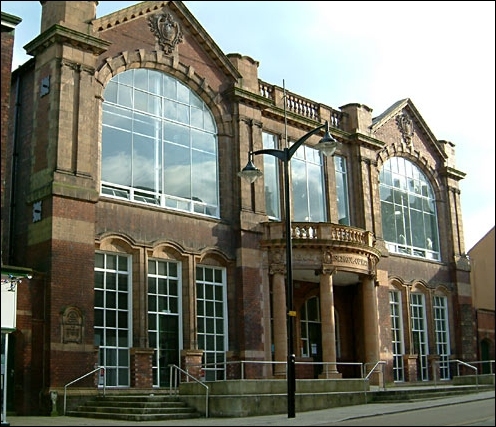 Opposite the School of Art is the Wedgwood Institute which stands on the site of the Brick House pottery works.